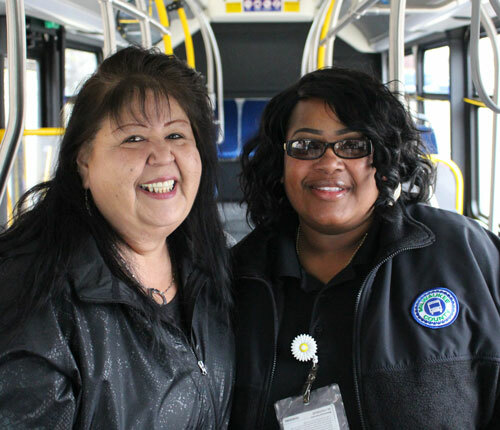 Tiffani Lee, the MCTS driver who came to the aid of a lost 5-year-old girl received an emotional thank-you from the girl’s aunt. “Oh my gosh, thank you so much,” Cheryl Wentland said as she embraced Tiffani. The two met at the MCTS KK Station in Bayview on May 9, 2017. Tiffani and Cheryl exchanged gifts. The girls family gave Tiffani a necklace, while Tiffani got nail polish for the little girl. Tiffani's story of MCTS Excellence went viral earlier in the month, with the video of her helping the girl spread across the world on social media. Family members were grateful and asked to meet with Tiffani to say thank you in person. Watch their emotional meeting below.